Cooking with Class was a HUGE success! 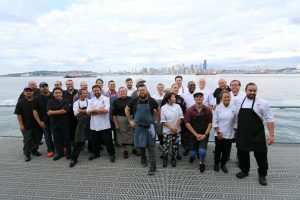 On September 13th 2018, 22 of Washington’s best chefs came together at Salty’s on Alki Beach, where they taught 175 excited guests fine dining recipes and tips in our most interactive fundraiser, Cooking With Class! 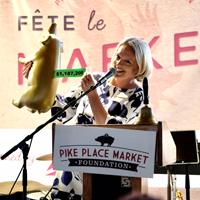 The event was a HUGE success, helping raise over $125,000 for the Pike Place Market Foundation! 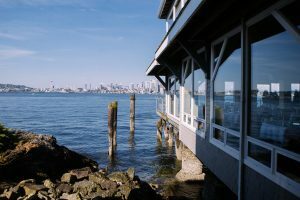 Thanks so much to Salty’s for hosting us, Seattle DINING for organizing this delicious event, all of the chefs and wineries who donated their time and skill, and all of our guests who came together to eat, drink, and raise funds for our Market community! 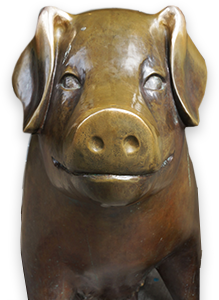 Look out for the next one in September 2019! Cooking with Class combines all the right ingredients to produce a food-lover’s perfect evening. 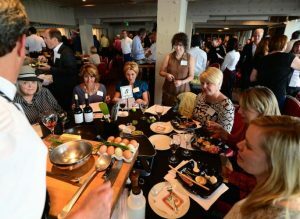 22 top Northwest chefs provide hands-on training to small groups of 8. 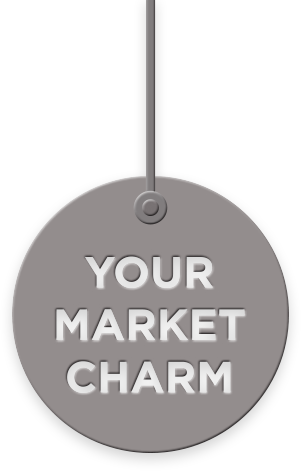 Click here to learn more about the event! Each chef trains three groups of people for 30 minutes each. 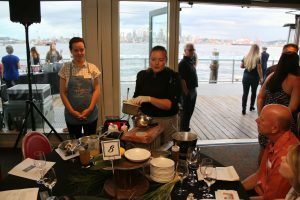 Participants choose three chefs and interact with them, actually making the dishes and learning their techniques. 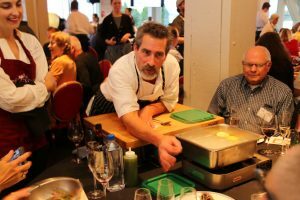 Wineries pair their wines with the chefs’ food. Live auction and door prizes with your hosts Auctioneer Fred Northup, Jr., and Chef Jeremy McLachlan of Salty’s Seafood Grills. 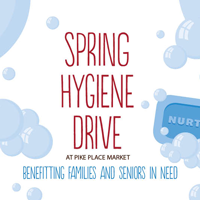 And, best of all, all proceeds benefit Pike Place Market Foundation.